Always popular in schools and nurseries to store books and equipment, this kinderbox has 4 compartments. The box section is delivered fully assembled and supplied with four 50mm diameter tubular legs ready to be fixed with bolt and allen key fixing. 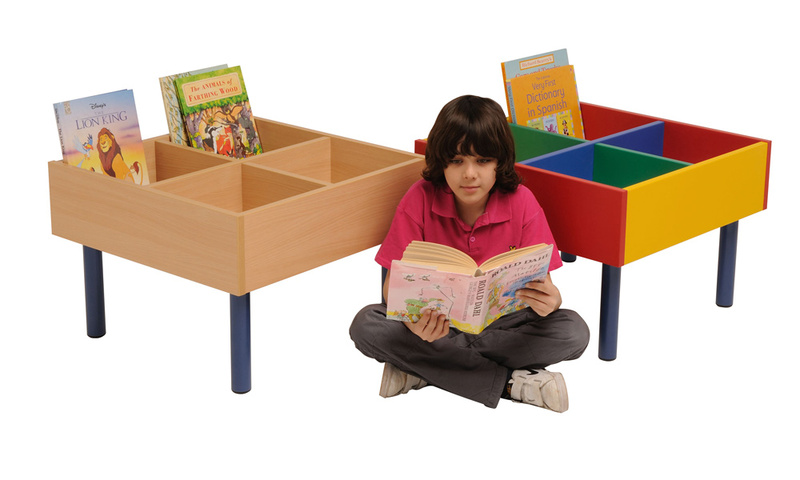 This book storage unit is available in our full range of bright colours so is perfect for nurseries, pre-schools and primary schools. We supply a wide range of kinderboxes. For more information please Contact Us or call us on 01733 511121.